Hi everyone! 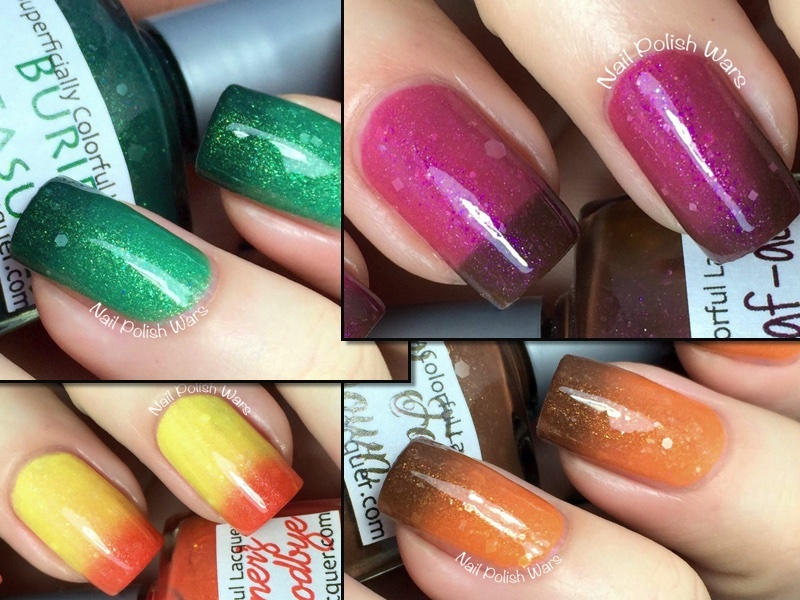 I have the In Autumn Mood Collection from Superficially Colorful for you today! 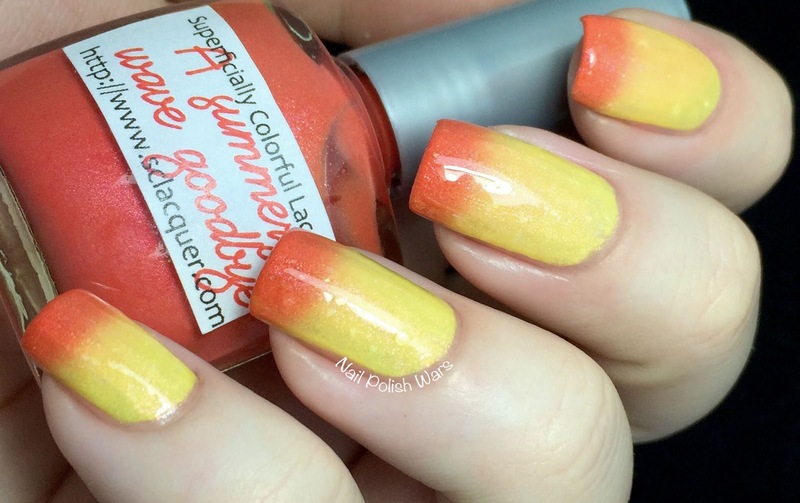 A Summer's Wave Goodbye is a red-orange creme, that shifts to yellow when warm, loaded with translucent hexes and shreds and a subtle gold shimmer. The formula was smooth and easy to apply. I really love this thermal! It has a great candy corn vibe to it. 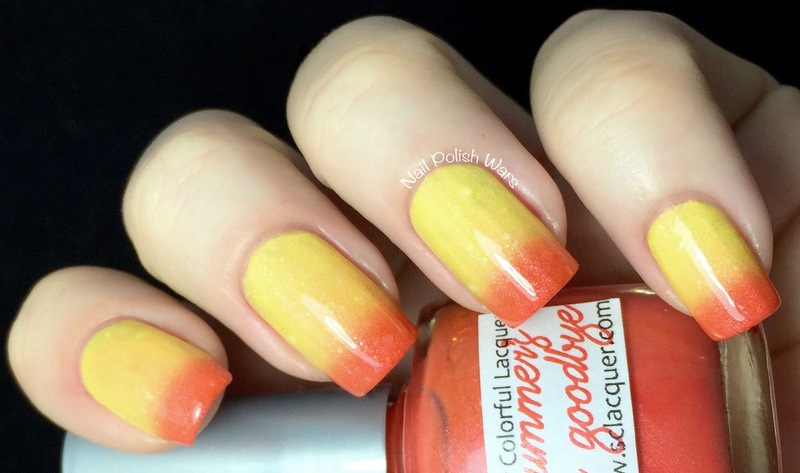 Shown is two coats of A Summer's Wave Goodbye. 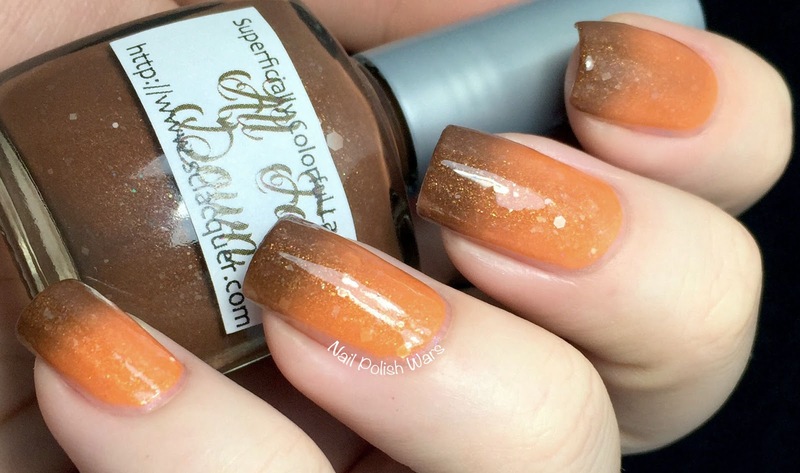 All Fall Down is a warm brown creme, that shifts to a burnt orange when warm, loaded with translucent hexes and shreds and a soft gold shimmer. The formula was smooth and easy to apply. I love this one! It's like wearing pumpkin pie on my nails. Shown is two coats of All Fall Down. 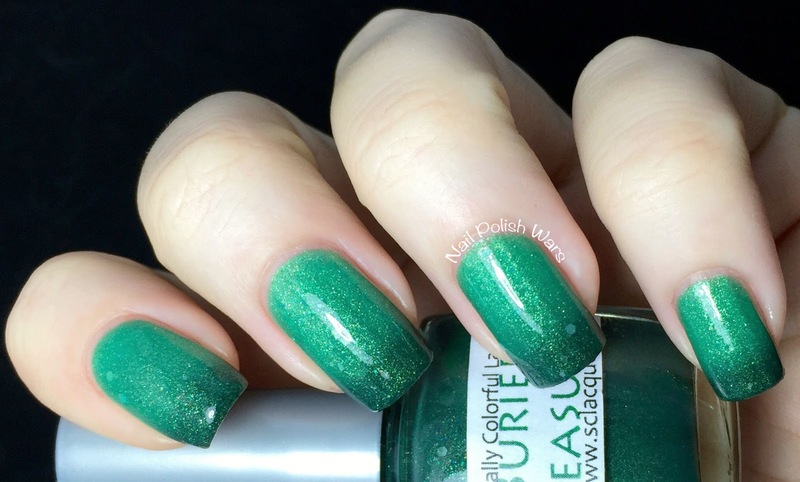 Buried Treasures is a forest green creme, that shifts to a cool medium green when warm, loaded with translucent hexes and shreds with a soft green shimmer. The formula was smooth and easy to apply. 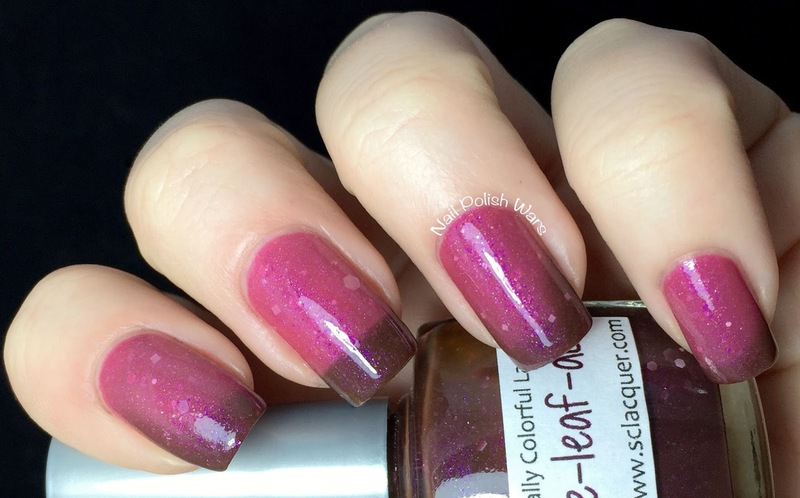 I fell in love with this shade immediately! It's such a great mermaid type shade! Shown is two coats of Buried Treasures. 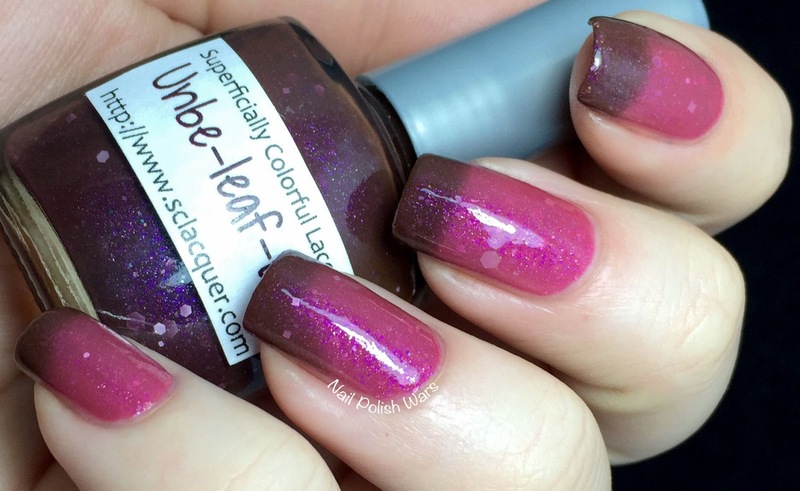 Unbe-leaf-able is a medium smokey purple, that shifts to a medium fuchsia when warm, loaded with translucent hexes and shreds with a soft plum shimmer. The formula was smooth and easy to apply. 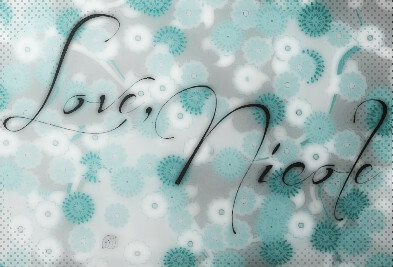 I love how feminine this one is! Shown is two coats of Unbe-leaf-able. Buried Treasures is absolutely stunning!